#1 – The batteries in electric cars do not last long. In a few years you will be left with dead batteries. Plug in America has examined 126 Tesla Roadsters and came to the conclusion that their batteries lose about 15% of their total capacity after 160,000 km. Read the full report here. Source of the myth: A lot of people tend to compare EV batteries to the kind of batteries found in laptops and cellphones. If you look at individual AA or AAA batteries they are specified to last for about 500 complete charge cycles. Why the myth is incorrect: The thing that causes the most wear on batteries is when they are fully charged (100%) or discharged (0%). The batteries found in electric cars are very rarely fully charged and discharged, the charge state usually stays between 90% and 10% – which allows them to last a lot longer. The larger the charge-discharge difference is, the more it wears on them. When you drive your EV on a day to day basis the difference is even less, a typical usage is then between 90% to 60%. In an electric car, the system keeps the batteries temperature more consistent to avoid unnecessary aging due to extreme temperatures. Laptops and cellphones do not have this precise control of charge level and temperature. The Dutch-Belgian Tesla Club has examined 68 Tesla Model S and according to their research the Model S’ batteries manage even better with a lost charge capacity of 6% after 100,000 kilometers. #2 – EV’s can’t be driven in the winter. The battery’s capacity diminishes in subzero weather and you can barely drive to your local supermarket. 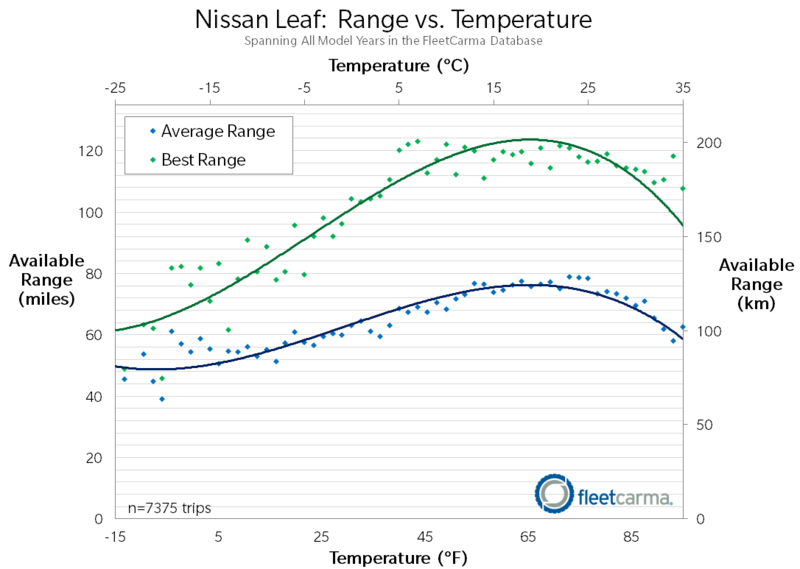 Green Car Reports came to the conclusion that Nissan Leaf loses about 30% of its range during extremely cold weather (-30C), after examining more than 500 trips in different temperatures in Canada. Read their full report here. Source of the Myth: Early electric cars had uninsulated batteries and experienced extreme range losses during the winter. A petrol or diesel car’s battery also has trouble operating the starter engine in the same conditions. Why the myth is incorrect: Modern electric cars have insulation around the batteries, which are also heated during the cold season. While the car is charging during the night, its batteries are heated using electricity from the grid. A company called FleetCarma collects data from carpools. They confirm Green Car Reports’ calculation of 29% range loss during the winter – and also provide data that petrol cars lose 19% of their range during winter! 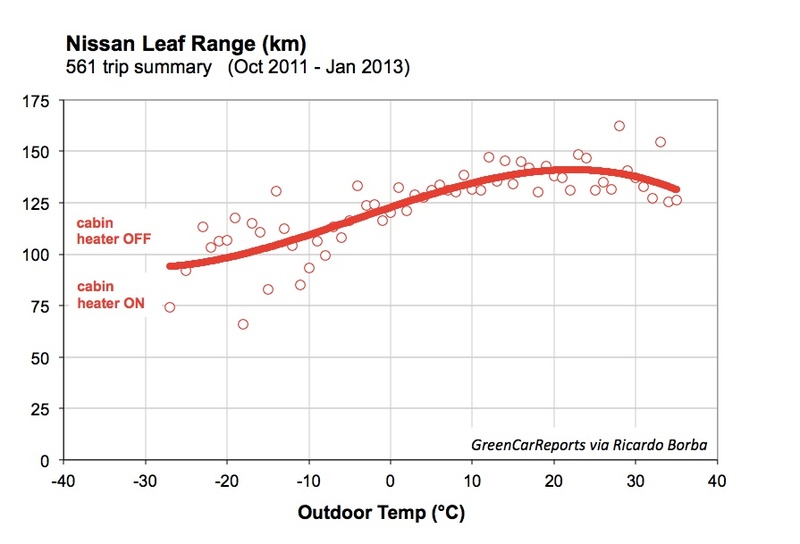 Side note: The above data applies to the Nissan Leaf. Tesla Model S has better insulation and heating of its batteries during subzero weather. At -20C the Model S loses about 20% of its range. #3– Electric Cars cannot be charged anywhere. You can’t do any long distance driving with them. An electric car can be charged from any household outlet, of which there literary are millions of. The number of fast chargers is quite limited still, but they are only needed when you go on a long distance trip. Tesla Motors has deployed a network of super-fast charging stations that spans both Europe, the United States and Asia. Origin of the myth: A surprising amount of people think that an EV-s must be charged at charging stations – just as a petrol car must be fueled at a petrol station. Many electric car manufacturers sell special charging stations for home use, to speed up charging especially in the United States where power socket voltage is only 110V. Why the myth is incorrect: Over 90% of the time you charge your electric car over night at home, plugged into a normal power socket, or a three phase outlet. In Europe we have 230V household sockets and 400V three phase sockets, which is ample for charging. Every morning you start with a fully charged car. Public charging stations are only used during longer trips. Tesla Motors have deployed their own network of Supercharger fast-charging stations. They are free to use for Tesla owners, and provide sufficient charge in about 20 minutes. However when Rafael de Mestre circumnavigated the Earth in his Tesla Roadster (picture above) he used no fast chargers, only electric sockets. #4 But it takes 40 hours to charge the car, you can’t be expected to wait that long! The battery is basically never empty. You recharge only the electricity you have used during the day. Origin of the myth: EV manufacturers usually list the time it takes to charge an empty battery to 100% from a normal wall socket. A lot of people mistakenly think you drive an electric car like a petrol car: that you drive until the fuel tank is empty and then fill it up to maximum again. Why the myth is incorrect: That is not how you charge an EV. Since you charge the car every night the battery is practically never empty. The listed charging time is a worst case scenario, not the normal case. Because the battery is charged every night you always have a fully charged car in the morning. The next evening you only need to recharge the kilometers you used during that specific day. If you have driven 100 kilometers in your Tesla during a day you have used only 20% of the battery’s total capacity. That means you only have 20% to recharge – not the entire battery. Wall sockets provide the slowest way to recharge your car. There are many other, faster alternatives. Some electric cars, like the Tesla Model S, can be charged from three-phase sockets found in many garages. During travel there are high-power fast chargers (CHAdeMO, CCS, Supercharger) available that can charge a car’s batteries in 20-50 minutes. #5 Yes, but it still takes forever to charge electric cars. It is still much faster to refill your petrol car. At home the time to charge does not matter because the owner is sleeping while the car is charging. 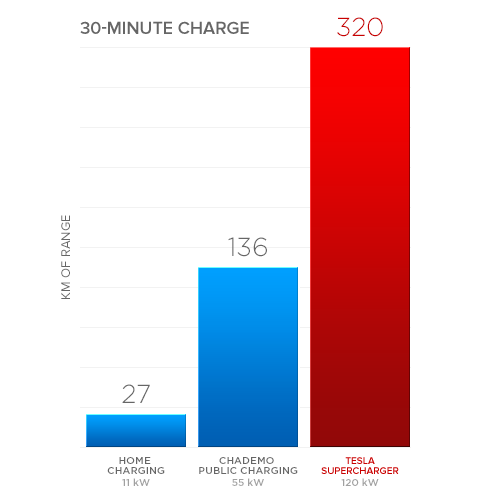 On longer trips, the Tesla Model S and Model X should be charged on Tesla Motors’ Supercharger charging stations, which takes about 20 minutes to charge the battery for 200 kilometers of range. The next Supercharger is then located less than 200 kilometers away. The Tesla Supercharger network is completely free to use for Tesla Model S and X owners. Origin of the myth: Many public chargers that are put up by the local municipality to build a greener image of themselves are in reality just ordinary electrical sockets. Those chargers add less than 50 kilometers of range per hour and are not suitable for long range driving. They are just for ”greenwashing” the provider’s public image. Why the myth is incorrect: Yet again, most of the time you charge your electric car is at home over night. It does not matter how long it takes as the owner is sleeping while the car is charged. As an owner you only notice the seconds it takes to plug the car in every night, and remove the plug again every morning. You won’t ever again have to drive to a petrol station to refill. For longer trips Tesla Motors didn’t want to have to rely on existing charge stations, even if you can use them. Instead they have built their own Supercharger network that spans across United States, Europe and Asia. About $2,000 out of every sold Model S and X is used for expanding and maintaining the charger network. This means that the more cars Tesla Motors sell, the more chargers will be built. To use the Supercharger network is completely free. You can find a map of all the chargers here. During a longer trip you drive 200 kilometers in about 2 hours, then you take a 20 minute break before continuing another 200 kilometers to the next charger. You do not need to stand next to the car while it is charging. You can take a walk, go shopping, visit the restroom, have a meal or whatever you wish. If you are really in a hurry and simply can’t wait another 20 minutes to charge the car for free, you might in the future be able to pay a fee, roughly similar to what a full tank of petrol would cost, and to change the entire battery pack of the car in the blink of an eye. You can see the entire process here. #6 – The electricity grid cannot handle the load of all electric cars! During normal charging at nighttime, an electric car does not use a lot of electricity. Origin of the myth: People have fuzzy ideas about how much current an electric car draws. Many thinks that the need for installing a special home charger is because electric cars draw too much current while being charged. That might be true in the US with their 110V outlets, but not here in Europe with our 230V ones. Why the myth is incorrect: While charging electric cars draw about the same current as comparable household appliances. If you have driven 100 kilometers during a day, your electric car will have consumed about 20kWh of electricity. It is these 20 kWh you need to recharge back into its batteries at night. If you charge your car from 21:00 to 07:00 the next morning you have 10 hours to recharge 20kWh – that equals to 2kW of effect. That is the same effect and current an electric radiator uses. Also, an average house uses 2500 kWh less energy this year than it did in the ’90s. All those energy efficient kitchenware you have bought since then saves as much electricity combined as an electric car uses. If you buy an electric car your household will consume as much electricity again as it did in the 90’s. The power grid managed it then, and it will manage it now as well. #7 Electric cars are not good for the environment because they are charged using dirty marginal power plants that burn coal! Origin of the myth: Some say that the load on the power grid will be compensated by an increased usage of operating reserves, marginal power plants. In many countries this reserve consists of coal, gas and oil plants. Why the myth is incorrect: You do not charge your electric car with marginal power. That operating reserve is used to compensate for short energy peaks in the power grid. An electric car being charged draws the same amount of power over a long period of time, so the base power plants have time to adapt without need to resort to operating reserves. Also, if more electric cars are introduced on the roads in the future then more power plants will be built. Just as in the seventies when people bought more household appliances like TVs and dishwashers it resulted in more electric power plants been built. Not more use of marginal power. Even if an electric car is charged with electricity from a coal power plant it uses less energy than a petrol car because the electric motor is much more efficient. Origin of the myth: Coal power plants are righteously defined as big environmental polluters. How could someone then claim an EV running on coal-generated electricity is environmentally friendly? Why the myth is incorrect: Obviously an electric car running on electricity coming from coal is not emissions free. However, they are still much cleaner than petrol cars because they need much less energy to travel. A Tesla Model S needs about 20 kWh of energy to travel 100 km. A comparable petrol car needs about 10 L of petrol to travel the same distance. As one liter petrol contains 9,7 kWh of energy the petrol car needs about 97 kWh of energy to travel 100 km. Five times as much. The Union of Concerned Scientists has done a thorough investigation about electric car emissions. They came to the conclusion that an EV running on average North American electricity uses the equivalent of a petrol car that uses 4 litres of petrol per 100 kilometers, “well-to-wheels” which includes all steps from the oil well to the vehicle. Even in North Dakota, the state with the highest amount of coal electricity generation in the entire country, an electric car’s emissions are equal to that of a petrol car that uses 7 liters per 100 kilometers. The TÜV study described in Myth #10 below also shows electric cars emit much less emissions than petrol cars. #9 – Electric cars are so expensive because of their batteries! The batteries makes up half the price of the car! It is not the batteries but the R&D cost that keeps the price high. Origins of the myth: Electric cars cost more than fossil fuel driven cars. Why the myth is incorrect: Batteries are expensive, though not as extremely expensive as some people seem to think; 50% is a huge exaggeration. Nissan Leaf, an electric car, can be bought both with and without batteries (you lease the batteries in that case). The price difference between the two versions are 20%. What Tesla Motors pays for their batteries is a well-kept secret. However a lot of people have guessed right above $200/kWh, which translates into $20 000 for 85 kWh of batteries. This too translates to about 20% of the final price. However, a huge expenditure for EV manufacturers has been R&D of the new technology. The battery packs, the electric engines, extra peripherals such as the heating system, all had to be developed from basically the ground and up. The high R&D cost is also made more noticeable due to the relatively few manufactured cars. The next generation of electric cars are not just going to get cheaper because of lower batteries (the price for batteries decreases with about 5% per year), but also because of lowered R&D cost. #10 – Electric cars are not environmentally friendly because their manufacturing is dirtier than fossil fuel cars. The higher emissions at manufacturing are compensated by lower emissions during the car’s lifespan. Origin of the myth: An EV is more resource intensive to manufacture than a petrol car – this is no myth. You do use more raw materials to make a large battery than to simply hammer a sheet of metal into a fuel tank. Why the myth is incorrect: However, the higher environmental load when the car is manufactured is more than well compensated by much lower emissions through the lifespan of the car. The German testing organization TÜV did a study in 2014 where they compared life cycle emissions of electric and petrol versions of the Mercedes B-class car. The two cars are identical except for their drivetrains. They came to the conclusion that if you add up all the emissions from the manufacturing of the car, 160 000 driven kilometers and scrapping, the electric version releases 24% less CO2 than the petrol version using the emission heavy continental Europe electricity mix containing lots of coal power plants. If you power the electric car with hydro power the CO2 emissions are decreased by 64%! #11 – EV batteries are not environmentally friendly because they are manufactured using dirty and energy intensive methods in China. Batteries for EV’s mainly comes from Japan, the United States and Europe. Origin of the myth: Batteries for cellphones and laptops are made in China. 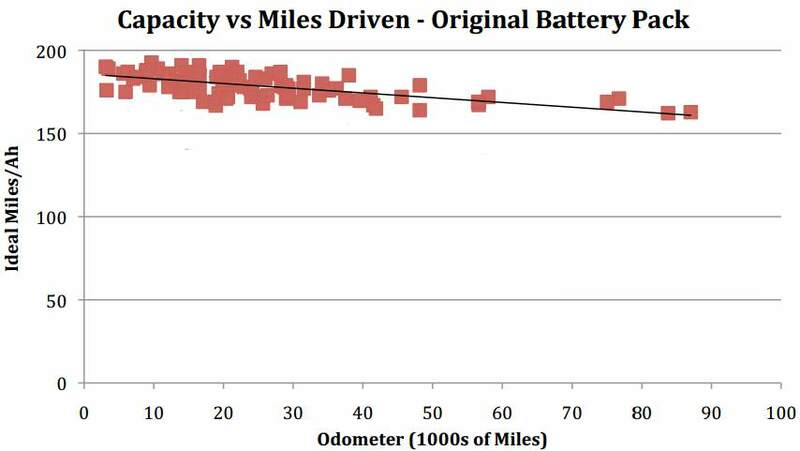 Why the myth is incorrect: Batteries of electric vehicles need to have a higher quality than those found in phones and laptops. Thus they are produced mainly in Japan and the US. The batteries of the Tesla Model S are manufactured by Panasonic’s Suminoe battery factory in Osaka, Japan. The batteries of Nissan Leaf are manufactured in Oppama, Japan, for the Asian market, in Smyrna, Tennessee for the American market, and Sunderland, England for the European market. Not even the raw materials for the batteries come from China. The lithium in the Tesla Model S’ batteries are from Chile and Argentina. The graphite does not come from any mine at all: to ensure the purity of the material it is synthetically produced in Europe and Japan. Tesla Motors is busy constructing their Gigafactory in Nevada, USA. It will be the world’s largest battery factory by far and will be run completely on solar and wind power. #12 – Increased demand for lithium to batteries will make the world supply for lithium run out soon. 39 million tons will last for quite a while. At least 100 years. Origin of the myth: The demand for lithium has drastically increased since the Second World War. Why the myth is incorrect: Before Li-Ion batteries there were very few things you could use lithium for, hence the very low demand in the past. Today 150 000 tons is produced annually. A normal electric car’s batteries contains about 20 kilograms worth of lithium. According to the investigation done in 2011 by Lawrence Berkeley National Laboratory and University of California there is about 39 million tons of lithium left to extract in the World, which should last (including increased demand) to at least the year 2100. Long before that will alternative battery technologies take the lead. Li-Ion is only one battery technology out of many possible ones. Lithium from old batteries can also be recycled to produce new batteries, the lithium does not decay in old batteries. #13 – If an earthquake or other natural disaster strikes, what use do you have for an electric car then? You won’t be able to charge it! Electric cars were the first ones to start operate after the 2011 tsunami in Japan. Origin of the myth: Natural disasters cause power outages. Why the myth is incorrect: The same power outage will prevent you from fueling a fossil driven car just as well, since the pumps at the petrol station cease to function. As soon as power is restored you will be able to charge your electric car, while petrol stations still have to wait for roads to be cleared all the way for fuel trucks to reach and refill them. The petrol stations themselves, as well as the oil refineries might need extensive repairs after the disaster. Among others, New York Times reported about how electric cars were the only ones after the tsunami in 2011 in Japan that could quickly get up and running again. Electrical supplies were restored within a few days, but clearing the roads and repair damaged refineries took weeks and months. #14 – Batteries only contain the same amount of energy as just a few liters of petrol! This is actually true. However, electric cars are so efficient you can drive further on less energy. Origin of the myth: One liter of petrol contains 9,7 kWh of energy. This means that an 85 kWh battery pack of a Tesla Model S contains the same amount of energy as just 9 liters of petrol. This is not a myth, but a fact. The point of this page is to be easily linkable to when having discussions with people. If you feel we should add some other electric car myth to this page you are more than welcome to leave a comment, preferably with a link to a scientific study busting it. This way we won’t have to search all over the Internet to find it. 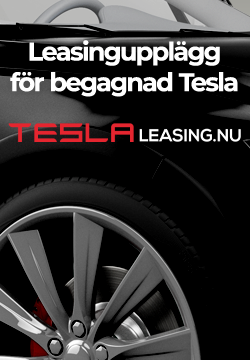 You are currently reading a webpage from Tesla Club Sweden – a Tesla owner and enthusiast club completely independent from Tesla Motors. Almost all of our pages are in Swedish – Google translate is your friend. We do however have a few pages in English you are welcome to read. Tagged in english, myter. Bookmark the permalink. pack of the car in the blink of an eye. You can see the entire process here.” <= That link points wrong. Re: #8; the argument also fails to take into consideration the fact that considerable electric power is needed for refining of crude oil to diesel and petrol. Ah, very interesting, though it does present the following counter argument to the long tail argument; when arguing the long tail argument, opponents of EVs ignore their own long tail emissions. Battery swaps won’t happen. They’re uneconomical compared to charging, and the demand just isn’t there (according to Musk anyway). It’s not something that should be mentioned, because it gives people a false impression. THIS NEEDS A ”REAL INVESTIGATION”…. They have been ”Power/Money-Mongers/Control Freaks ALL their sordid lives. THIS IS MONEY LAUNDERING AT IT’S BEST, AND THE CLINTON LAUDROMAT IS RUNNING AT FULL SPEED. Your post IS correct. ”The Clinton Laundromat” is where they launder, Rinse then SPIN(lie) about What Nations/What People give Big money to their so called ”global charity, where little is actually Given to charity, but almost ALL stays WITH THE CROOKED CLINTON’S. They used the charity, to MAKE MONEY, for Favors down the road, for the donators. Very interesting buy why is it in english? Any one in sweden have som tesla battery modules for sale? Since several swedish taxi companies drive Teslas, have they any info on the battery? They drive them almost 20 hours a day (2 shifts) so they should have some interesting stats.